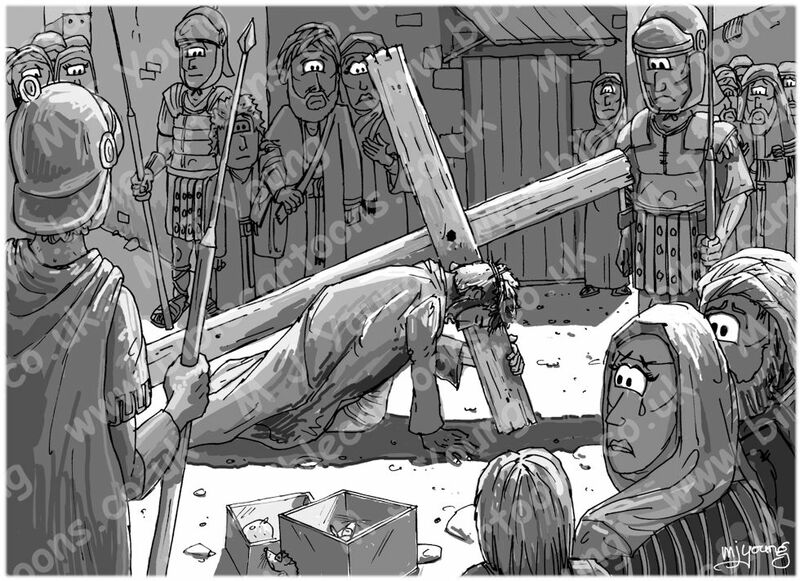 I’ve just completed & uploaded the latest cartoon illustration to this website, which shows Jesus the Christ carrying the wooden cross through the streets of Jerusalem, on his way to be crucified. In some ways it is quite a harrowing scene, as you can see blood on Jesus clothing, which has seeped through from the wounds inflicted on him from the Roman soldiers’ flogging. I have lightened the mood just a little, by including 2 small mice, in the foreground boxes, but even they are crying tears. 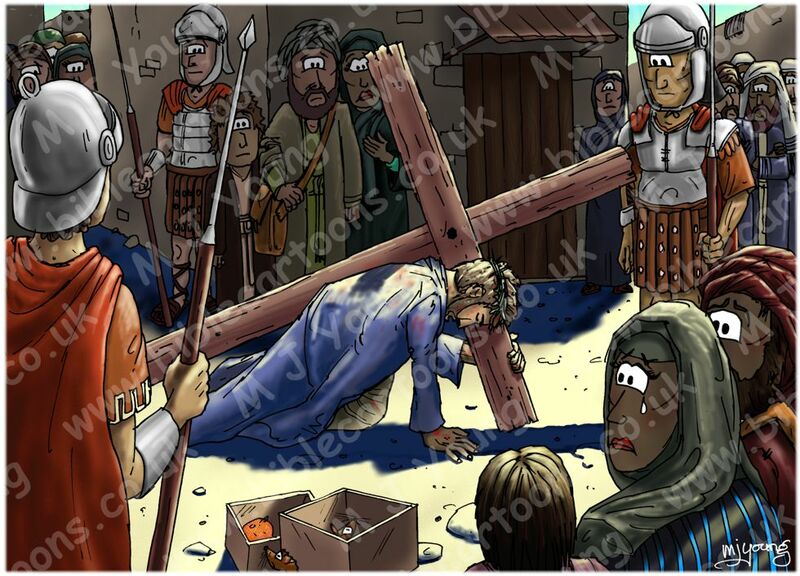 As I pointed out in the notes that accompany this cartoon illustration, the religious leaders possibly felt threatened by Jesus (& the kingdom of God) & Pilate seems to have recognised that they were secretly jealous of Him. But the common people loved Jesus. No doubt his personality & his teachings were a breath of fresh air, when compared to the strict laws imposed upon them by their own religious leaders. The gospels often speak of people’s amazement at the authority of Jesus’ teaching & the wonderful, miraculous powers he wielded for the good of all, which came down from God the Father in heaven. This contrasting attitude is why I have drawn the religious leaders as smiling as Jesus is stumbling along on the path to his death, but the crowds are tearful & sorrowful, as Jesus is being led to his crucifixion. This is the tonal study I made, to help me to balance the light & dark shades of this complex picture, before I delved into the final, full colour version, seen below.